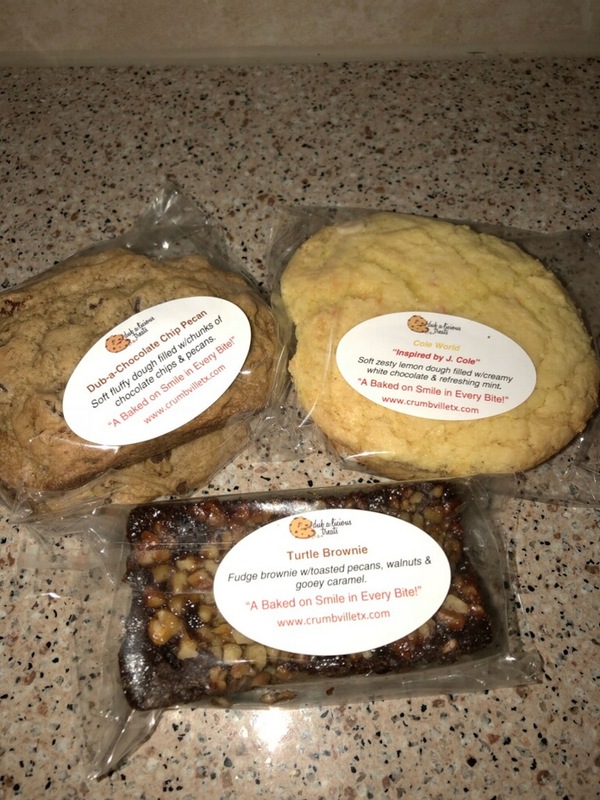 There’s nothing better than a good bake shop, especially when you just stumble upon a good bake shop. This is exactly what happened when we were in Third Ward a few weeks ago (more on that here). 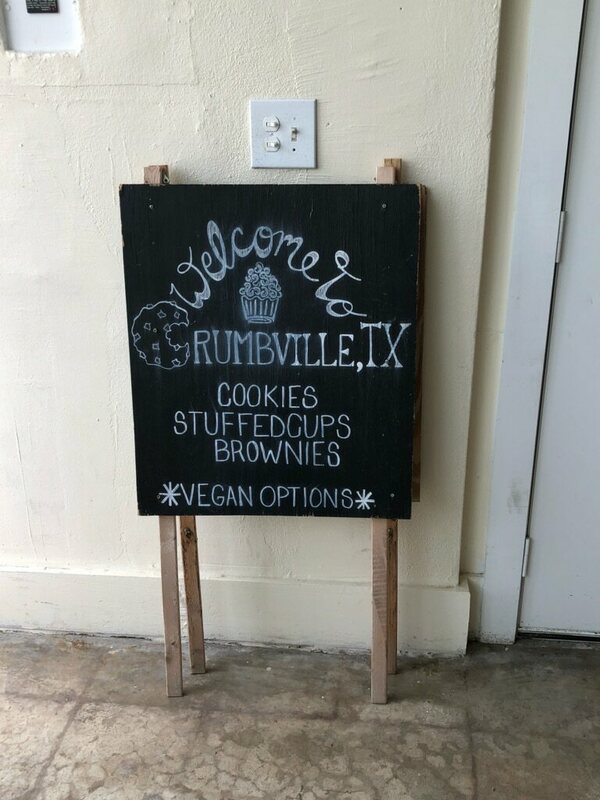 When we saw the sign that said Welcome to Crumbville, TX, little did we know we’d be in for a real treat (pun intended). First off, the owner Ella was a sweetheart! 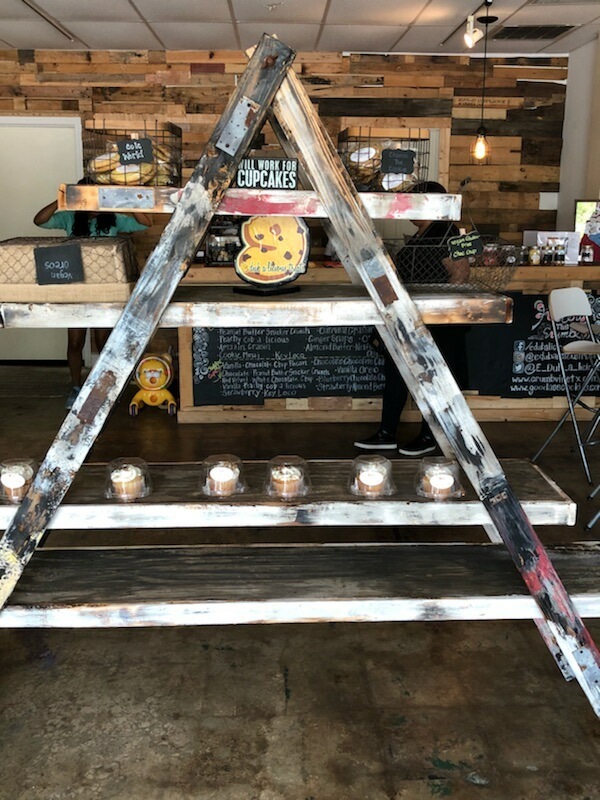 She takes pride in every single one of her desserts and her enthusiasm is infectious.On the particular Sunday of our visit, the shop also featured a pop-up shop with a maker of gourmet almond milk (yes, we tried all three flavors and yes they were good!) as well as a DJ … because buying cookies with no milk or entertainment is just boring. We take a selfie with Ella! So on to the goods. 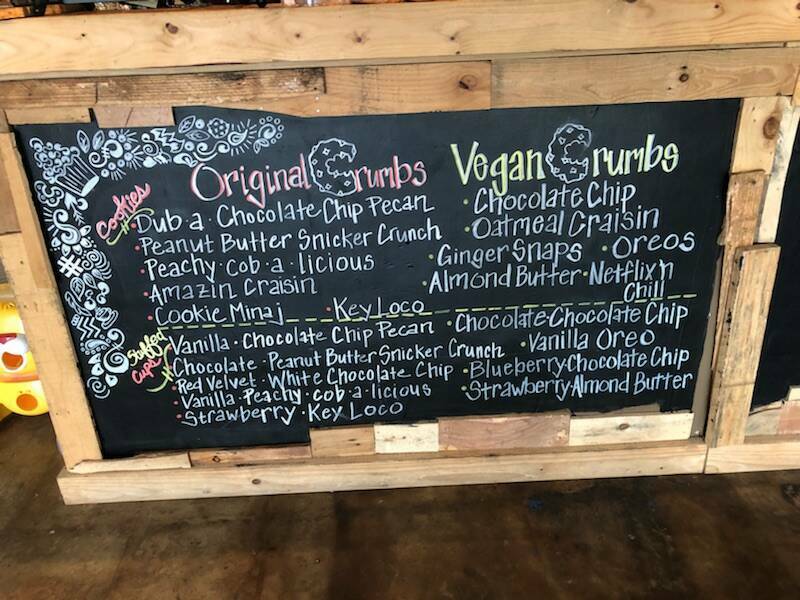 At Crumbville you can get homemade vegan desserts (and non-vegan). We’re talking huge cookies, her signature stuffed cups (a cookie baked in to the cupcake – yum) and more! And here you thought we were just buying cookies. 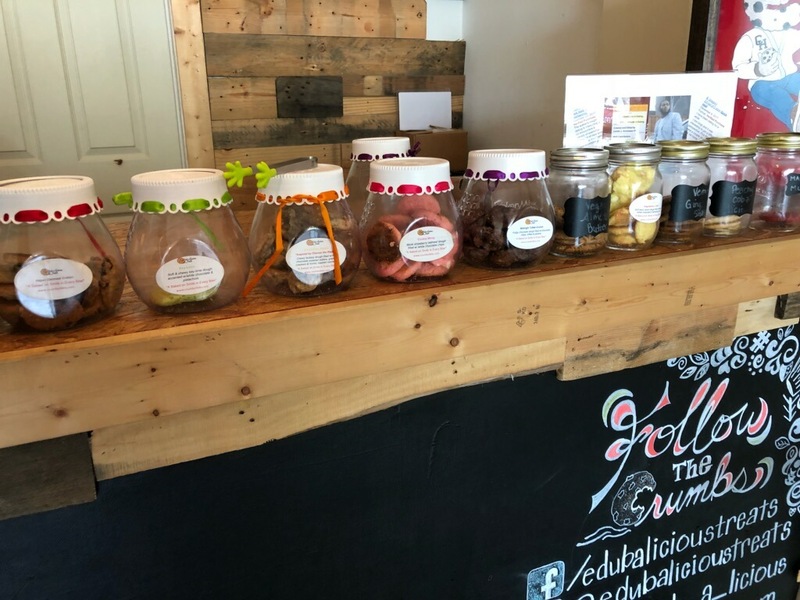 But the best part, Ella has cookie jars with small versions of her desserts, so you can actually sample them before you buy! Seriously, that in itself is enough to keep us coming back. So we made our decisions (finally). And the verdict on the treats is the strawberries and cream cheesecake was excellent (and this is coming from Val who is an admitted cupcake snob). It was huge, moist, heavy and the built in graham cracker crust bottom was genius. 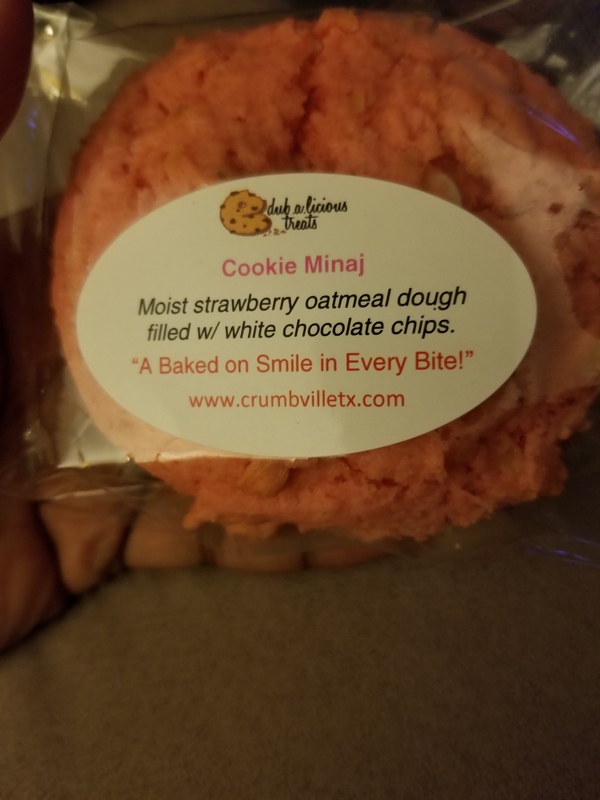 All the cookies were the bomb. 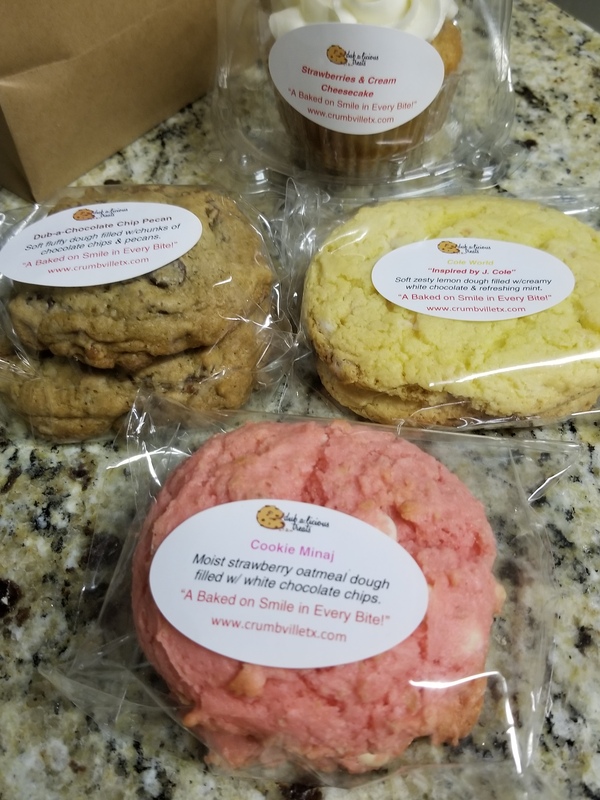 We especially loved the extras, like the mint in the lemon cookie and the oatmeal baked into the strawberry cookie (note: Ella tells us the Cookie Minaj is a bestseller). Kim had turtle brownie which was very nutty and full of flavor. In closing, literally everything we consumed from Crumbville, TX was delicious. You need to go. Case closed. 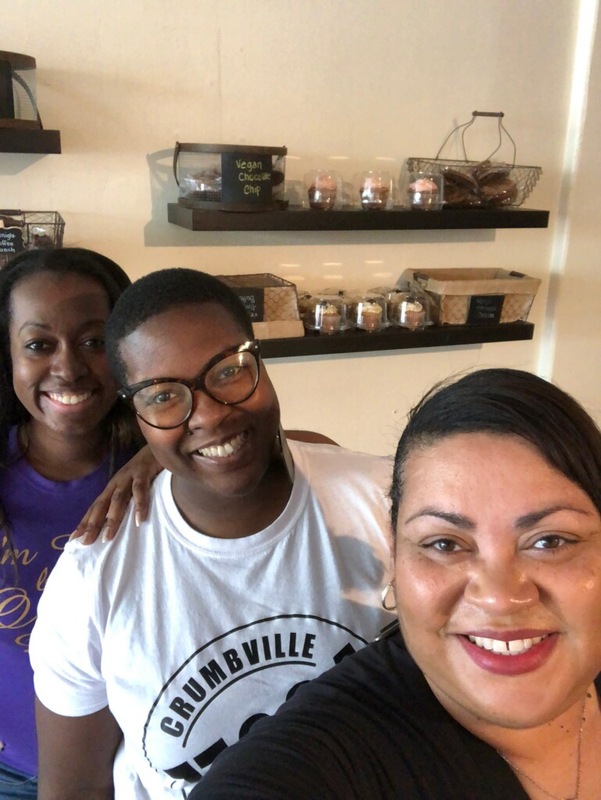 Crumbville is located at 2316 Elgin, Houston, TX 77004 (across the street from Emancipation Park).